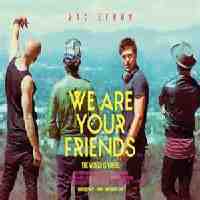 “We Are Your Friends” is about a DJ, his 3 friends and electric dance music, learning more about the latter than I knew or need to know but, as I have found lately with a few movies, that is more a generation gap than anything else. Incorporated into the movie is a lot of ‘eye candy’ of both sexes along with a screenplay by the director Max Joseph and Meaghan Oppenheimer based on a story by Richard Silverman. It’s an old story offering very few surprises along with an unnecessary ‘aw shucks’ moment during the end credits. Joseph does add a few musical and southern Californian collages that are eye catching and like other films recently, including last week’s “The Diary of a Young Girl” plus last year’s “Birdman”, also uses animation. Aside from his good looks Efron hasn’t impressed me yet with his acting though to be fair I have only seen him in 3 films and he does have an impressive scene talking about how a DJ works the crowd. His friends played by Jonny Weston who wants to be a club promoter, actor and drug dealer played by Shiloh Fernandez and Alex Shaffer as the hanger on nerd offer good support. Wes Bentley is a has-been DJ living off his past and has a younger girlfriend, Emily Ratajkowski, with the latter basically in the pretty girl role. “We Are Your Friends” was an interesting movie from the point of view I knew nothing about how electronic computer music is made and, of course, nothing wrong with eye candy. It was also interesting for the ‘second movie’ I watched in my head. When I saw Wes Bentley, September, 1999, when he was 21, in “American Beauty” I walked out thinking “Wow! This is the next generation’s Kevin Spacey!” For the next decade he descended into the world of drugs admitting he made movies only to make money for drugs. He is 37 today, has been clean since 2009 and between his appearance in a Broadway play in 2010 and playing Seneca Crane in “The Hunger Games” in 2012 he has been working his way back but he lost the momentum of stardom that pursued him 16 years ago. Zac Efron had his breakout role in “High School Musical” in 2006 followed by the movie version of the Broadway musical “Hairspray” when he was 19 and 20. In 2013 at the age of 26 it was reported that he completed an alcohol and substance abuse program. Now at 28 will he have a decade unlike the one Bentley had? Did Wes talk to Zac and give him advice and/or did Zav ask Wes what happened and how could he avoid the same mistakes? Now that’s a film I would like to see---and make!